The FT-1 Mount Adapter allows you to use certain legacy F-Mount NIKKOR lenses (those designed for use with Nikon D-SLR/SLR cameras) on the Nikon 1 V1 and J1. The Mount Adapter is attached to the Nikon 1 V1/J1 and the F-Mount NIKKOR lens then attached to the adapter. The FT-1 will add an angle of view of 2.7 times that of the F-Mount NIKKOR lens’ focal length. The primary communication between the body, FT1 and lens is electronic, through two sets of contact pins. There is also a mechanical aperture lever within the F-mount portion of the FT1, plus an internal motor to move the lever too. Supports 65 existing F-mount NIKKOR lenses …click here to view those support lense from Nikon. To use the FT-1, the Nikon 1 J1/V1 camera’s firmware must be updated to at least version 1.10. 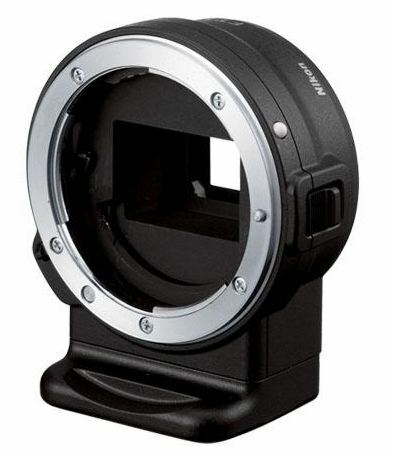 Here is the review from Rob Galbraith : First Look: Nikon Mount Adapter FT1 . Review: Nikon’s J1 and V1 cameras and 1 Nikkor lenses from Rob Galbraith, click here.